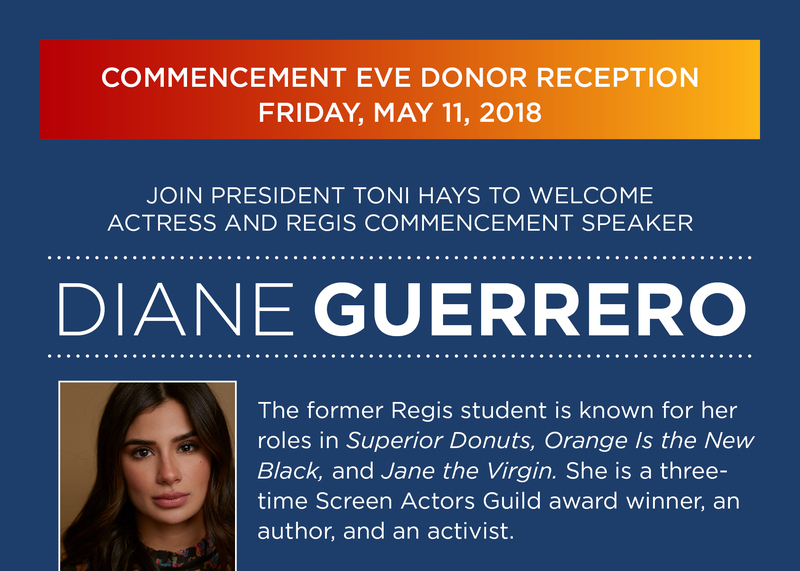 We are excited to welcome Regis supporters to the annual Commencement Eve Reception, an exclusive event for members of the President’s Associates club ($1,000 or more given annually). If you have any questions about your giving, please contact Director of the Regis Fund Amy Carney at amy.carney@regiscollege.edu. If you would like to join the President’s Associates and attend this event, please make your gift by April 30.